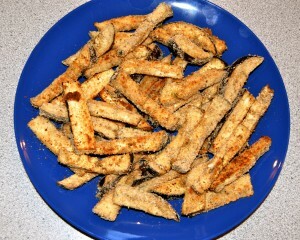 Baked eggplant sticks are an easy snack, appetizer or side dish. With only 1.35 net carbs per serving on Carb Light Living™ you can enjoy while eating healthy! Preheat oven to 450 degrees. Line baking sheet with parchment paper. Cut both ends off of eggplant and then cut eggplant in half. Place strips into a bowl and mix with olive oil, pepper, garlic salt, oregano and basil. In another bowl, combine Dixie Diner Breading and Batter Mix and parmesan cheese. Dip strips a few at a time into the egg white, and then into breadcrumbs. Place onto baking sheet. Bake for 10 minutes. 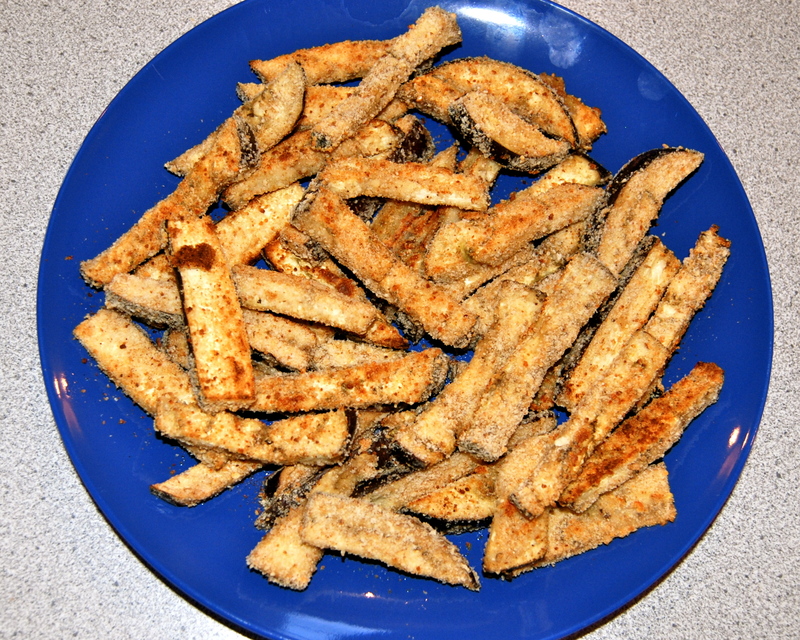 Flip over and bake an additional 5 minutes or until eggplant strips are golden. If you order directly from the manufacturer at DIXIEDINER.COM and you are a FIRST time customer, you can get 30% off the Dixie Diner Breading and Batter Mix and everything else you want to order! Simply enter Coupon Code#30OFF at checkout. Limit one coupon per organization or individual. This offer expires June 1, 2012! See some of Shrinking Man’s fav Dixie Diner desserts – simply type “dixie” in the carblightliving.com search box. Dixie USA and Carb Light Living™ partnered to offer FIRST time Dixie Diner customers this exclusive promotion! Receive 30% off your first Dixie Diner Club order! This offer is only available to Carb Light Living™ Facebook, Carb Light Living™ Website and Carb Light Living™ Twitter subscribers!